To be absolutely honest, I have not come across ASTALIFT till I had to head for appointments in ION Orchard previously. I passed by their retail shop but didn’t get a chance to walk in. 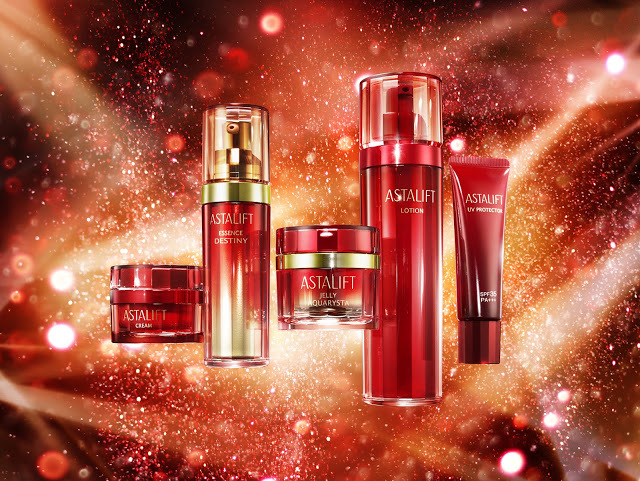 It wasn’t until I was handed a trial kit of ASTALIFT that I came into skin contact (pun intended) with this anti-aging skincare. Having won numerous awards in Japan and Singapore, I was surprised that I didn’t discover this brand earlier. Now, I can safely say that I’m a convert of some of their key products, seeing how they make my skin look more supple. Friends even commented that I looked more radiant. They thought that I have had more sleep. But I knew the only thing that had changed during that 1 week was that I was trying out the sample-sized products in the ASTALIFT Trial Kit. I especially love their cleanser, which smells like a walk in an English rose garden. Before I reveal more on this post, please head over to Beauty-Pati.com to read the full review.